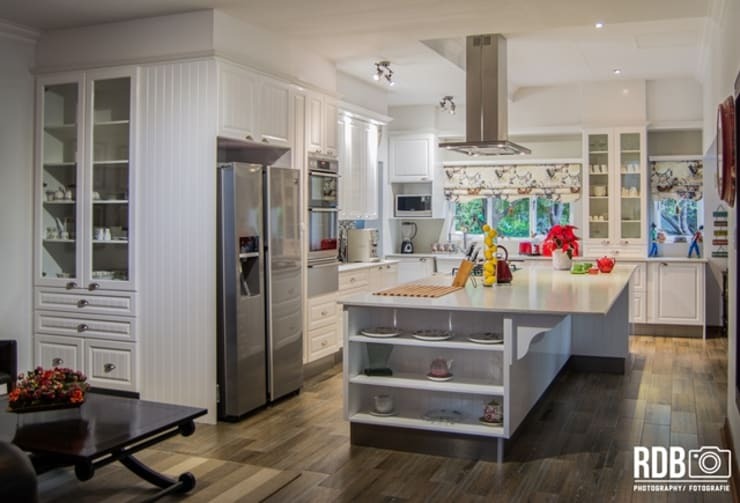 If there's one room in your home that need as much storage as possible, it's definitely your kitchen! 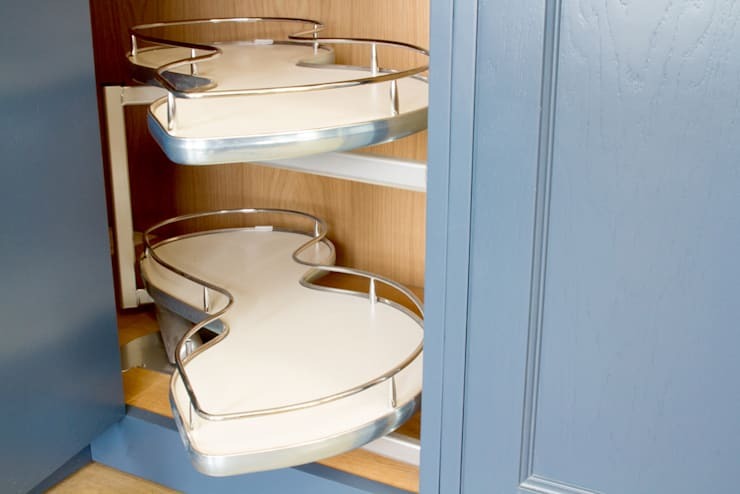 Think about everything you need to keep organised and at hand and you'll have to admit that there is no such thing as too much innovative kitchen storage and it seems that kitchen planners agree! 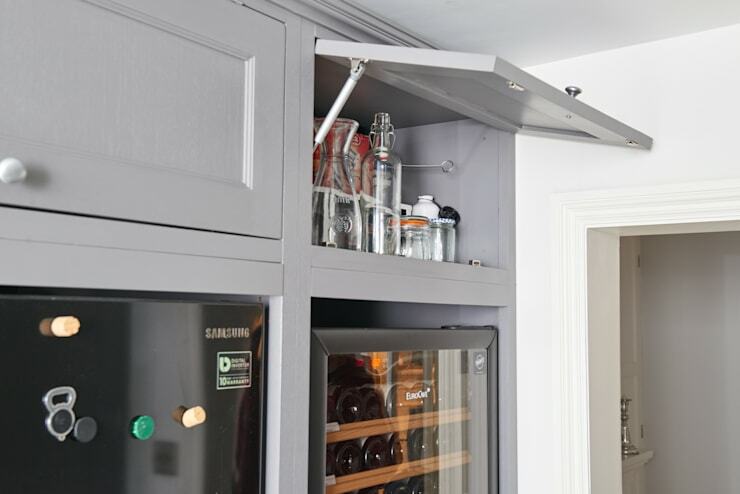 Looking at some of the examples we've found, it's clear that the professionals are always looking for new and ingenious ways to open up extra pockets of space, so why not take a look at some of the cleverest ideas out there and see which ones would work in your kitchen? 1. 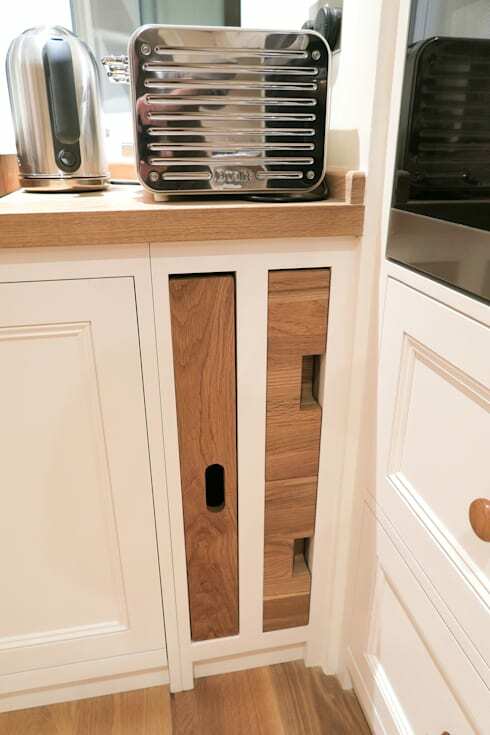 Pivoting top cupboards give you access to a whole extra wealth of storage that looks sleek and cohesive. 2. 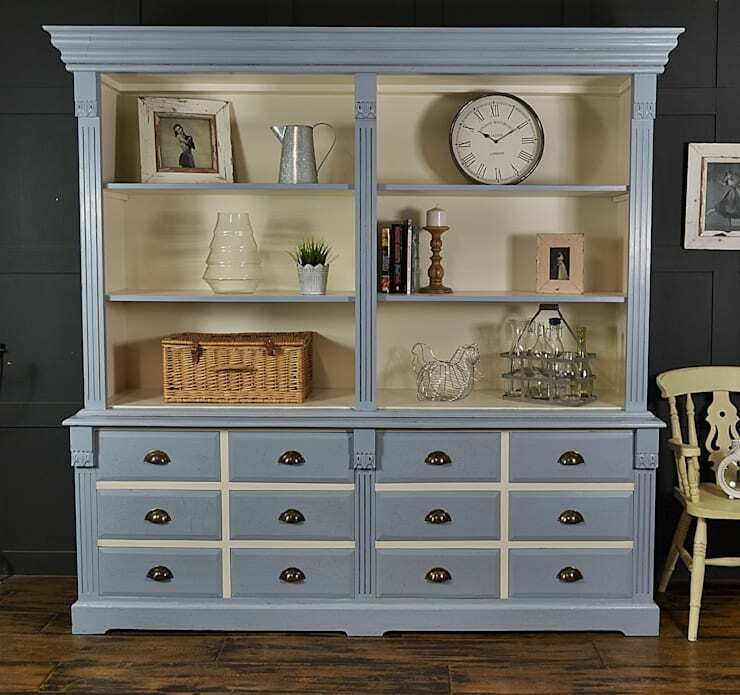 Upcycled traditional dressers add such charm and a beautiful country aesthetic. As well as bags of extra storage! 3. High-level wall shelves are ideal for displaying lovely trinkets that won't get used too often but will add some gorgeous extra touches! 4. Inset wall cubby holes make use of dead space and have a really contemporary edge. 5. Don't forget to add extra organisation and storage… to your storage! Drawer dividers are absolutely essential. 6. 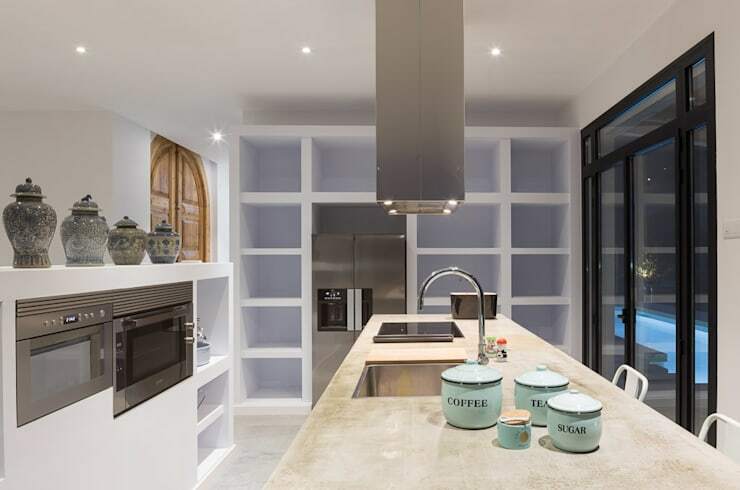 Open shelving, inserted into the end of an island, is so innovative and simple! 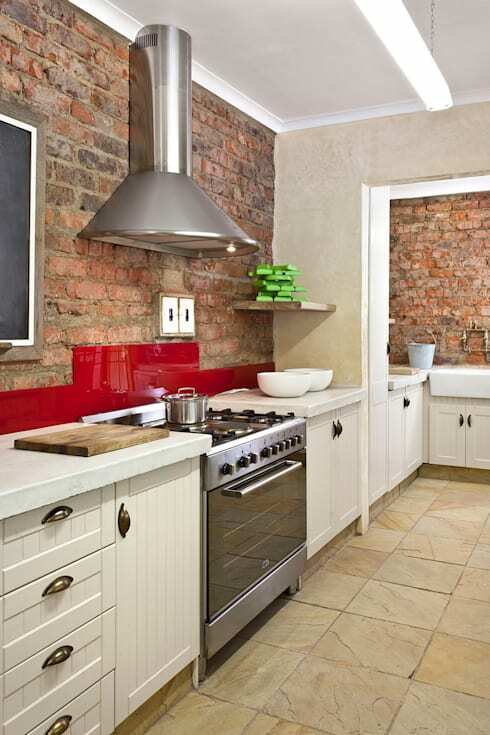 Perfect for cookery books! 7. Handy little corner shelves? What an idea for the kitchen! Pans and utensils would fit there so easily! 8. 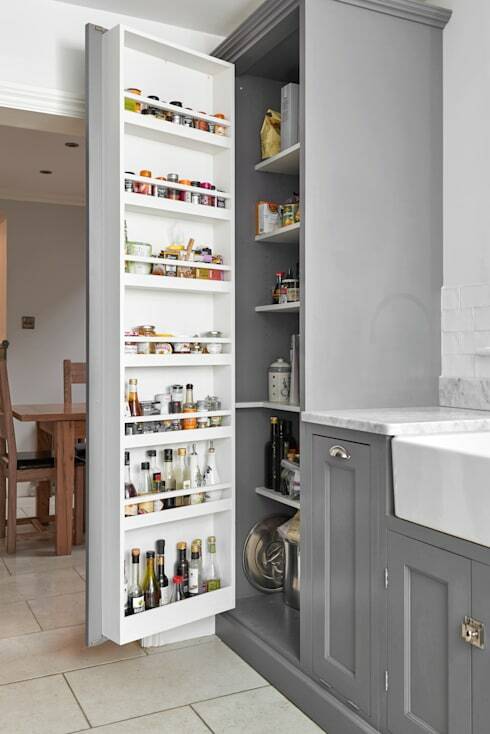 Larder cupboards are amazing for getting so much more stowed away into a small space! You'd never lose the salt again! 9. Pivoting carousel units open up those awkward corners wonderfully and add a modern twist to a tried and true storage system. 10. Even slim spaces can be put to great use! 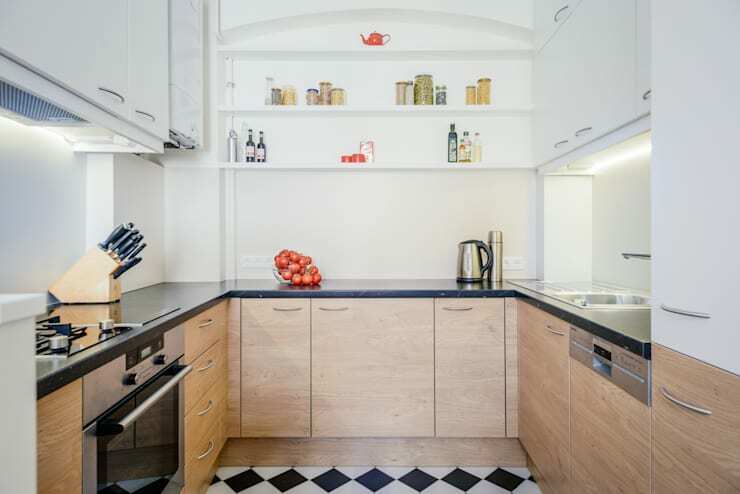 Serving trays, tea-towel rails and chopping boards can all be hidden away. 11. 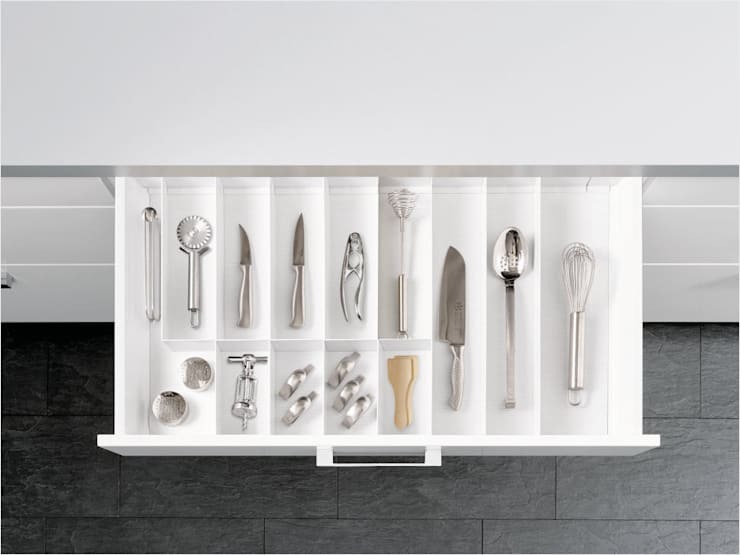 Think a little outside the box and you'll see that drawers can be for so much more than just cutlery. 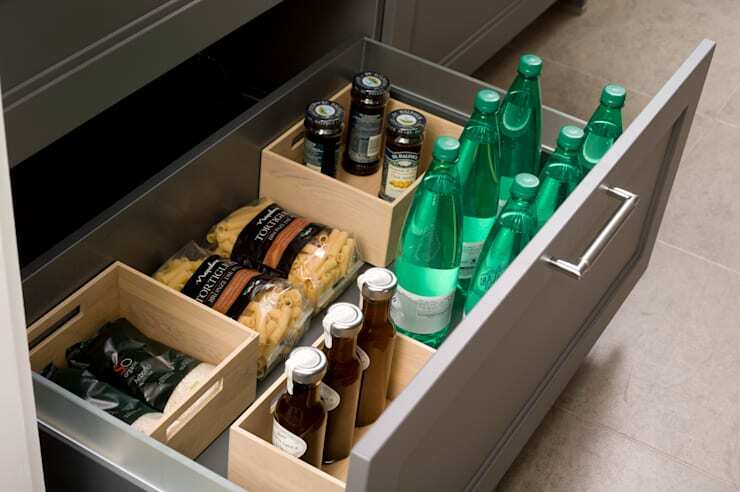 Larder drawers are our new favourite thing! For more great storage solutions, take a look at this Ideabook: Cool simple storage solutions. Could your kitchen use a little extra storage?